July 30, 2018, 3:00 p.m.
As high school students head back to classes this month, they might want to pay extra attention to their math and English classes: these are the top subjects that adults say have been the most valuable in their lives after high school, according to data from YouGov Omnibus. When asked which high school subjects have been most useful to them as adults, 19% of people said English/language arts, while an equal percentage (19%) said math. Men (23%) were more likely than women (15%) to say math has been the most useful. The numbers were almost exactly reversed when looking at people who said English was the most useful: 24% of women and 13% of men. In addition to saying it was the most useful subject, women (21%) were about three times as likely as men (7%) to say that English was also their favorite subject. But the most popular subject overall was history, with 19% of people saying this was their favorite. Men (24%) were nearly twice as likely as women (13%) to select this answer. Interestingly, math and English were tied again, this time for people’s favorite subjects, with 14% selecting each one. 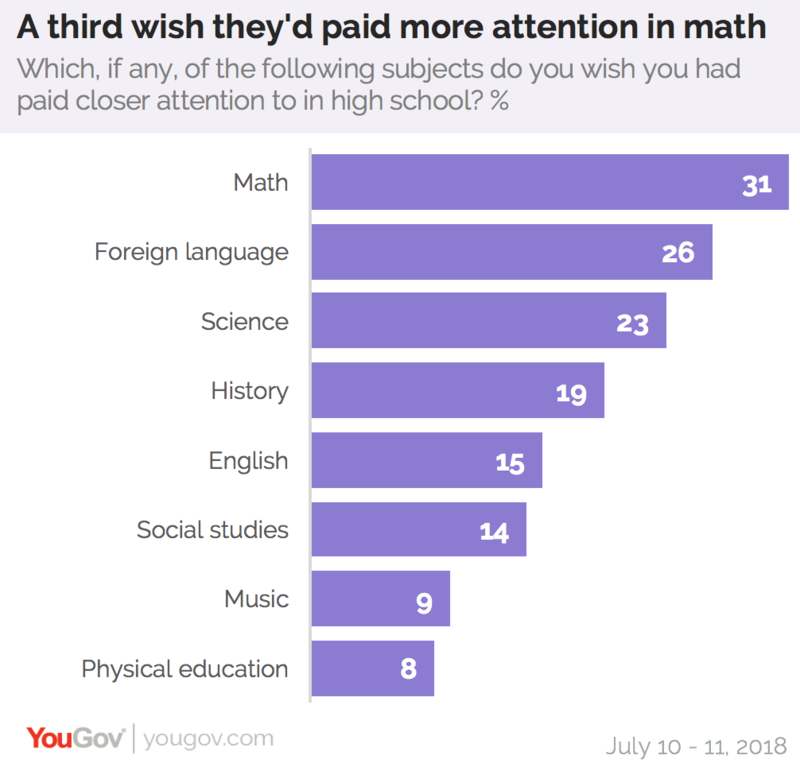 Math is a also a subject that about one-third (31%) of Americans say they wish they’d paid more attention to in school. Another 26% wish they had paid more attention to foreign language classes, and 19% wish they’d paid more attention in history. People who are 55 years and older were especially likely to say they wish they’d paid more attention in history, with 23% choosing this answer. 18-34 year olds were more likely than other groups to say they wish they had paid more attention to physical education classes (13% chose this answer compared to 8% of the total population) and music (15% vs 9% of the total population). As for the subject people say they were best at, English topped the list with 21% choosing this subject. Nearly one-third of women (31%) said English was their best subject, while 21% of men say their best class was history. When it came to electives courses, about one quarter (24%) of Americans say they took a home economics class. Women (36%) were three times as likely as men (12%) to have taken a home economics class. 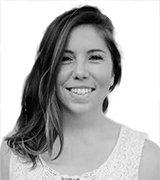 Younger generations are also considerably less likely to have taken this class. Only 14% of 18-34 year olds say that they took home economics, compared to 27% of 35-54 year olds and 32% of people who are 55 or older. Other popular electives included woodworking/shop (17%), computer science (13%) and psychology (11%).